Whether you’re weighing home care options for yourself, on behalf of a loved one, or for someone placed in your care; Friman Home Health Services is sure to deliver service a cut above the rest. Together with your physician, our clinical team can provide coordinated, hospital-quality nursing and therapy services in the comfort of your home. Accredited by the Joint Commission and certified by Medicare. Chronic illness or debilitation can put a burden not only on those suffering, but family and loved ones, as well. Our Private Duty programs can bring aides & nurses to lighten the load when you need it the most. 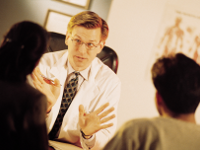 Our state of the art Case-Managed Treatment program is the epitome of patient-centered care. See what it truly means to engage in an outcome oriented program. 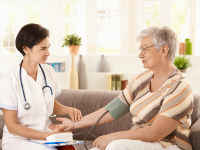 Friman Home Health Services offers care to patients who require superior home health services. At Friman, your care is our concern. We work with physicians, nurses, social workers, therapists, psychologists, counselors, and specialists to provide you clinical-level care in the comfort of your home. background screening for each new caregiver. Our staff of experienced caregivers have a strong employment history and have been evaluated for competency. Your care is our concern. We are devoted to maintaining our history of honest and trustworthy service. Inform yourself of unscrupulous practices. We offer real Services that are packaged with compassion, sincerity, integrity and love. When you need additional support, the caring, skilled professionals at Friman Home Health Services are available to assist you. Our services are structured with your independence in mind. Our private duty services are available from a few to 24 hours a day. We understand the importance of maintaining your privacy, independence and helping you to reside in the comfort of your own home is our goal. Skilled Nursing provides comprehensive health management. Physical Therapy employs restorative techniques to improve strength, ability, and coordination. Occupational Therapy can show you how to improve and develop daily activities affected by your illness or disability. Speech/Language Pathology assists you in recovering essential communication skills. Medical Social Workers provide assistance with community resources and counseling. 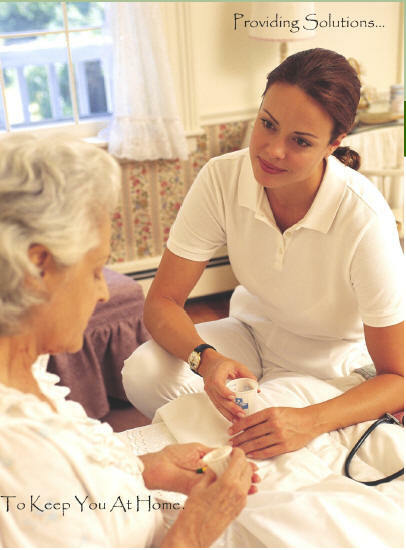 Home Health Aides provide care to help you with daily activities such as bathing and grooming. The exact service(s) provided is dependent upon our initial evaluation. Contact us for a complete assessment today! A patient in need of skilled nursing care, physical or occupational therapy or any of our other specialized services. We provide care 24 hours a day, seven days a week in the comfort of your home. 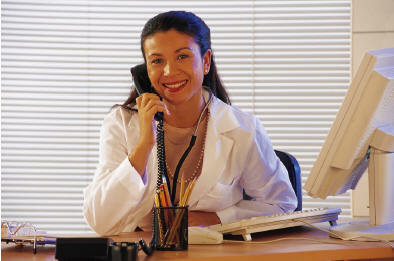 Our caregivers are qualified professionals, both bonded and insured. Just interested in receiving more information on our programs and services?